I’ll freely admit I’ve been a bit unplugged this month – only one blog post, the occasional social media blip, and not many of my friends have seen me. A few have, but it’s only because they’ve been working with me on something that’s been developing for about seven years. 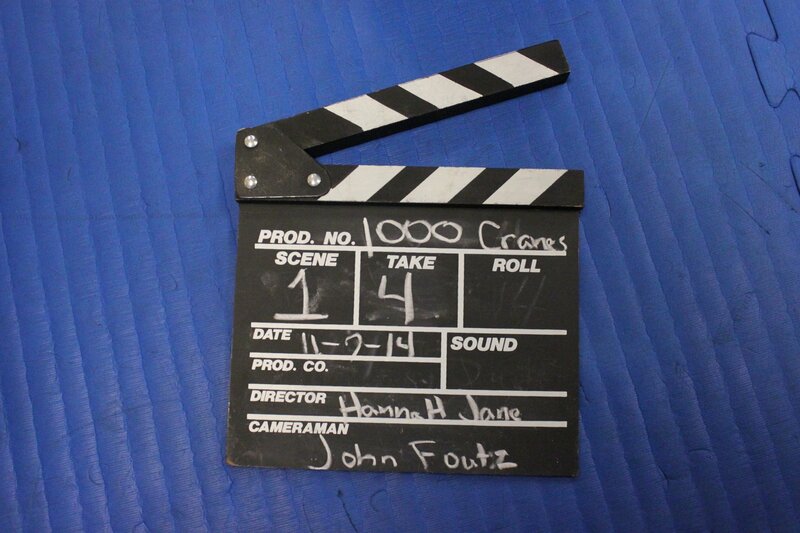 1,000 Cranes for Martin McLeod is a short film about relationships, strength, paper cranes, and forgiveness. 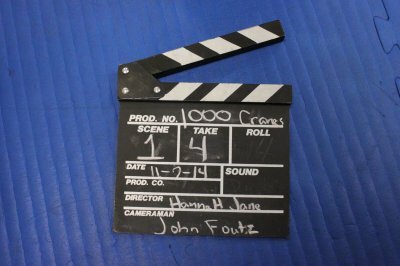 In the wake of a failed long-term relationship, Muay Thai boxer Karrah locks herself in her apartment and begins folding 1,000 paper cranes as she grapples with her emotions and regret. Despite two locations (one primary, one secondary) and only four characters, twenty pages can be a bit ambitious to shoot in a few days, especially when you have to move doors and door frames multiple times to complete one shot. But fortunately, we had a first rate crew and dedicated talent that nailed lines, movements, and emotions practically every time I called action. Not only have we finished, the raw footage is beautiful. I can’t wait to begin editing in the next couple weeks. This story has been a part of me since late 2007/early 2008. 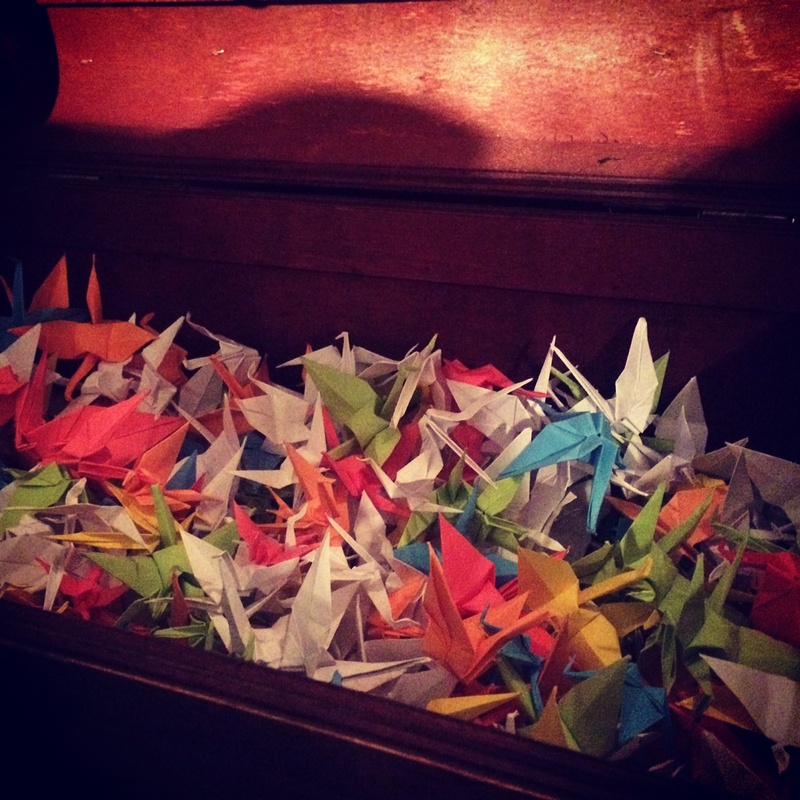 One character was inspired by the friend who taught me to fold cranes and introduced me to the legend. Yes, I have folded 1,000 cranes more than once in my life. I first had the idea for the story after a relationship had ended and I realized that forgiveness released me from bitterness and negativity. Sure, my forgiveness could have been good for him too, but forgiving him made life better for me. Forgiveness allowed me to live my life unhampered, and I wanted to communicate that. I struggled for months trying to write the story and finally gave up. I loved the idea but simply could not make it work. When I revisited the material in late 2012, I realized I had been overly complicating it. I wrote the resulting script over just a couple days, incorporating my martial arts background (Muay Thai) and focusing the story on one internal conflict with one external manifestation. For a writer/director, seeing your story come to life is probably the most amazing experience you can have. Those moments you’ve seen in your head for years are real, happening in front of you. Emotions rise, and suddenly all the work you’ve put into the writing, scheduling the production, and even picking food for your crew and cast (yes, we independent folks wear many hats) is worth it. I was fortunate enough to experience this multiple times in the course of this shoot. 1,000 Cranes for Martin McLeod is in the can, or perhaps “in the drive” is a more accurate description. I’m relieved and so very excited for what is to come. So many have worked with me to make this possible (from those who inspired it to those who gave feedback on it to those who worked the shoot to those who will work with me in postproduction), and I am eternally grateful. 2 Responses to "In The Can: 1,000 Cranes for Martin McLeod"
So glad you got to finally write, produce and direct this script and film! Just takes some time, motivation and inspiration to get moving! Congrats!